Laura Barbour, M.A has taught and counseled children from preschool through high school in a variety of educational and mental health settings for 30 years. Laura is currently pursuing her Ph.D. in Counseling at Oregon State University. She received her Bachelor’s Degree from Hollins University and her Master’s Degree in Education and Human Development from George Washington University. She studied Special Education at the University of Virginia and Professional School Counseling at Lewis and Clark College. She presently works as the professional school counselor at Stafford Primary School in the West Linn-Wilsonville School District in Oregon and as adjunct faculty for the School Counseling Program at Lewis and Clark College in Portland, Oregon. 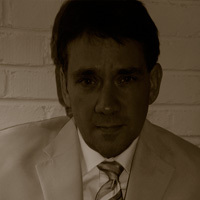 Philip Barbour is president of the Barbour Media Management Group (BMMG) based in Birmingham, Alabama. BMMG is a boutique advertising agency, a marketing cooperative of writers, directors, producers, designers, editors and crew specializing in productions of high end TV advertising, print and web design. A graduate of Florida State University’s famed film program, Mr. Barbour has worked as a writer and producer, and award winning documentary filmmaker and columnist over the last 25 years. James M. Burin, the former Director of Technical Programs for the Flight Safety Foundation, has 45 years of aviation experience and 37 years of experience in the aviation safety field. He has been involved in a broad range of aviation safety activities including operations, administration, and safety education. He holds a Bachelor of Arts degree in Engineering Science from Dartmouth College and a Master of Science degree in Systems Analysis from the US Naval Postgraduate School. Jim retired from the Navy as Captain, after 30 years of distinguished service, including 6,200 flight hours and 1,400 carrier landings. He was the Commanding Officer of an attack squadron and a Carrier Air Wing Commander. Prior to joining the Flight Safety Foundation, he was the Director of the School of Aviation Safety in Monterey, California where he was responsible for the training of 650 Navy, Marine, Coast Guard, and international aviation safety officers each year. Mr. Burin was a leader in introducing risk management to the military aviation safety community. His work in aviation safety includes controlled flight into terrain, runway safety, human factors, safety program organization, accident investigation, operations, administration, education, risk management, safety, culture, organizational influences on safety, and the role of leadership on safety. As the Director of Technical Programs his duties include organizing and overseeing safety committees and managing safety related conferences and research. He is the chairman of the Foundation’s ALAR (approach and landing accident reduction) effort and led the Foundation’s international efforts addressing Smoke-Fire-Fumes, Functional CheckFlights, Unreliable Airspeed, and Runway Safety. 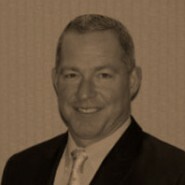 Mr. Burin is a frequent speaker at safety conferences, seminars, and workshops around the world. 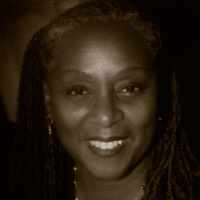 Norma Fields is a financial professional with over 30 years of accounting experience. 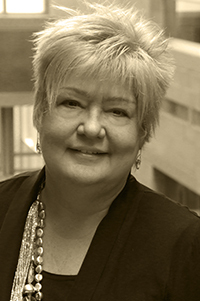 She has worked in the corporate, government, government contracting and non-profit arenas. Norma began her career in the administrative field as an enlisted member of the U.S. Navy at the Naval Air Station in Jacksonville, Florida. She holds a B.S. degree in Business Management and a M.S. in Finance. She is retired from the U.S. Naval Reserves. 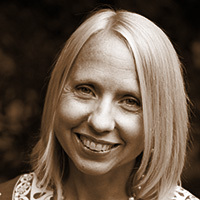 For the last 14 years Norma has worked as a freelance Consultant. Her clients are small to mid-sized entities with varied business interests. She is responsible for the financial reporting and analysis, the financial systems and budget development for many of these organizations. Her work includes special projects, day-to-day operations, financial audit assistance, collections, staff training, supervision and customer/client assistance. Until this last year, Norma worked in the Technical Department of the Flight Safety Foundation as assistant to the Director. That job required interaction with various aviation safety organizations, communicating with aviation professionals, assisting in the conduct of the technical portion of the safety seminars and providing administrative support to each of the aviation safety committees. Prior work with the foundation included assignments working in the Accounting Department as the Interim Controller. She continues to provide financial support to other companies. Nancy Graham is the President of Graham Aerospace International, which assists the aviation and aerospace industry in understanding the aviation community needs so that privately funded initiatives can be safety accepted into the global aerospace system to enhance the human experience at a societal and economic level. Nancy previously as the Director of the Air Navigation Bureau at the International Civil Aviation Organization (2007-2015) where she led the Bureau through a major transformation. Major accomplishments included the complete overhaul of both of the Global Aviation Plans (Safety and Air Navigation) with specific performance priorities and targets, a first in the United Nations system. Nancy is a strong believer in government/industry partnerships, sharing common objectives to improve aviation safety and efficiency, and instituted realtime reporting against those Global Plan common objectives. Pushing ICAO beyond its traditional boundaries, Nancy produced the first ICAO Symposium on Remotely Piloted Aircraft Systems (also known as UAV’s) and oversaw the development on ICAO’s first set of standards for these new craft. Nancy also produced ICAO’s first Symposium on Commercial Space to prepare ICAO to support this industry. Prior to joining ICAO, Nancy was an Executive with the Federal Aviation Administration for many years serving in Washington DC, Europe, Africa, the Middle East and Asia representing the FAA throughout the globe. Nancy holds a Masters degree in Technology Management and serves on the Board of Directors for the Singapore Air Traffic Management Centre of Excellence through Nanyang University (Singapore), and the Dreams Soar Foundation. Since January 2004, Keith Hagy has served as the Director of the Engineering and Air Safety Department of the Air Line Pilots Association, Int’l. In coordination with association leadership, Keith is responsible for guiding and directing all technical projects and programs relating to the Association’s safety, pilot assistance, and security goals throughout the United States and Canada. This includes managing liaison with external organizations including U.S. and Canadian government agencies, the Congress, the press, and private groups such as aircraft and equipment manufacturers, the airlines, consumer groups and other associations. The Director is responsible for providing engineering and/or technical support for members involved in a grievance hearing or certificate actions taken by FAA. Liaison is also maintained with international groups, e.g., the U.N.’s International Civil Aviation Organization and International Federation of Air Line Pilots’ Associations. Prior to joining ALPA in 1986, Keith spent a number of years as an Aircraft Stability and Control Analyst with the Boeing Company and focused on aircraft design and handling qualities evaluation and flight-testing. In 1986 Keith joined ALPA as a Senior Staff Engineer in the Accident Investigation Department and has participated in over 30 “major” aircraft accident investigations in the US and Canada and in over 100 “minor” aircraft accident investigations. In 1992 Keith was promoted to Manager – Engineering & Accident Investigation, responsible for managing all accident investigations in which the association participated and for overseeing all engineering related projects in the associations work program. Keith was awarded a Patent for a Stability Augmentation System in use on Boeing B737 aircraft. Keith is a licensed pilot and is a past 3-term officer (Secretary) of the International Society of Air Safety Investigators (ISASI). Keith is past Chairman of the International Advisory Committee of the Flight Safety Foundation. 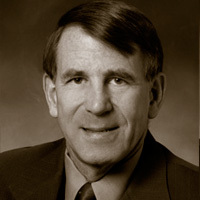 Richard F. Healing, a professional engineer and internationally recognized safety expert, joined R Cubed Consulting, LLC as a Senior Partner on August 1st, 2005 after retiring from a Senate Confirmed, Presidential Appointment as Board Member on the National Transportation Safety Board, where he served since March 2003. In 2008, he became CTO for R³ Engineering in order to lead the development of an all weather sense and avoid system for Unmanned Aircraft Systems (UASs) under a contract with the Office of Naval Research. 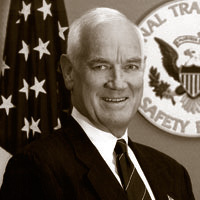 During his term at NTSB, Member Healing held the Safety Engineering position, and provided key technical inputs on several investigations with major national interest – the major aviation disaster when American Airlines Flight #587 crashed in New York, the Staten Island Ferry boat crash in 2003, the US Airways commuter flight crash in Charlotte, N.C., and several rail and highway accidents. Member Healing is credited with bringing new focus to air medical crashes and offshore aviation services helicopter accidents. The NTSB and FAA have both conducted critical reviews addressing the unnecessary, increasing losses in these communities. 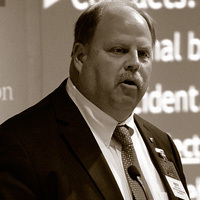 At the time of his nomination to the NTSB, Mr. Healing was Director of Transportation Safety and Security for Battelle Memorial Institute where, since March of 2002, he held primary responsibility for Battelle’s relationship with the Federal Aviation Administration and provided program oversight for most of Battelle’s aviation safety programs, including the Aviation Safety Reporting System, operated for NASA. Prior to March of 2002, Mr. Healing was the Director, Safety and Survivability, for the Department of the Navy, beginning in 1985. During his Navy civilian career, his work focused on aviation safety and emphasized benefits from sharing military safety information with others in the aviation community, including commercial aviation. He also was a founder of the Navy’s highly successful Human Factors Quality Management Board, which was responsible for major reductions in aviation accidents and savings of lives and losses of assets exceeding billions of dollars. In 2001, Mr. Healing was presented the Navy’s highest civilian award – the Distinguished Civilian Service Medal. He also was recognized with the SAFE International “General Spruance Award” for safety education achievement, and an Aviation Week “Laurel” for bringing new awareness to the importance of wire health and condition monitoring technology in aviation. Other awards include the Navy Superior Public Service Medal for creating the Navy’s Safety Non-Developmental Items program, and the Defense Superior Service Medal for active military service during Desert Storm and Desert Shield. From 1971 to 1983, Mr. Healing was President and CEO of an engineering, construction and contracting services firm in Connecticut. He also was Executive Vice President and Managing Director of Fairfield Precision Industries, a manufacturer of replacement parts for the military. A licensed Professional Engineer since 1974, Mr. Healing attended the U.S. Coast Guard Academy and graduated from Worcester Polytechnic Institute. 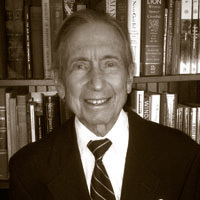 He pursued graduate studies at the University of Bridgeport, Bridgeport Engineering Institute, Rensselaer Polytechnic Institute, Harvard University, and Georgetown University. He graduated from the Naval War College in 1990, and was selected to participate on the President’s Commission on Executive Exchange. 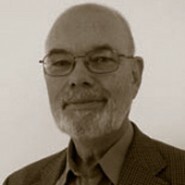 In 1991, he was a Senior Executive Fellow at Harvard University. Mr. Healing served 6½ years active duty in the U.S. Coast Guard. After 30 years of service, including four commands, he retired from the Coast Guard Reserve with the rank of Captain. He is an active member of Flight Safety Foundation (FSF), the International Helicopter Safety Team (IHST), Helicopter Association International (HAI), the American Helicopter Society International (AHS), and the Naval Helicopter Association (NHA). Mr. Healing’s work at R-Cubed Consulting has included primary safety consultant to the largest commercial helicopter operator in the world; the Executive Committee of the International Helicopter Safety Team; the executive advisory committee of Parks College of Engineering, St. Louis University; the research advisory board for Embry-Riddle Aeronautical University; Board of Directors of STI (Systems Technology, Inc.) of Hawthorne, CA; Executive Steering Committee of GAIN (Global Aviation Information Network); the Aviation Safety Task Force of the Department of Defense; the Private Motor Vehicle Task Force of the Department of Defense; selection to be on the Defense Safety Advisory Commission; and numerous national and international speaking engagements. As Chief Technology Officer for R³ Engineering, he is responsible for technical oversight of a multi-million dollar effort to overcome constraints against integration of UASs into the United States National Airspace System (NAS) through development of a collision avoidance technology suitable for small UASs, that can also provide collision avoidance capability for any light or legacy aircraft operating in the NAS. Mr. Healing also provides business consulting services to small companies, with emerging technologies, wishing to initiate or expand business with the federal government and its agencies. Craig T. Hoskins is currently the Vice President, Safety and Technical Affairs for Airbus Americas, Inc. In this role, he is responsible for the facilitation and coordination of Airbus activities and interests related to safety, regulation and certification standards, human factors and operational matters in the Americas. Craig is a graduate of the U.S. Army Aviation Safety Officer Course, University of Southern California Aviation Safety Certificate Program, NASA-Ames Fatigue Countermeasures Course and holds a M.S. Degree in Training and Leadership. He has accumulated over 32 years of aviation/human factors experience that includes military and commercial operations as a Technician, Pilot, Safety Consultant, Mishap Investigator, and Human Factors Senior Analyst. Craig has also developed and conducted numerous training courses/seminars on Aviation Maintenance, Crew Resource Management, Threat and Error Management, Human Factors, Fatigue Countermeasures, and Team Building/Process Improvements for military operations, government organizations, and airlines world-wide.